En Iwamura was born in Kyoto, Japan in 1988. 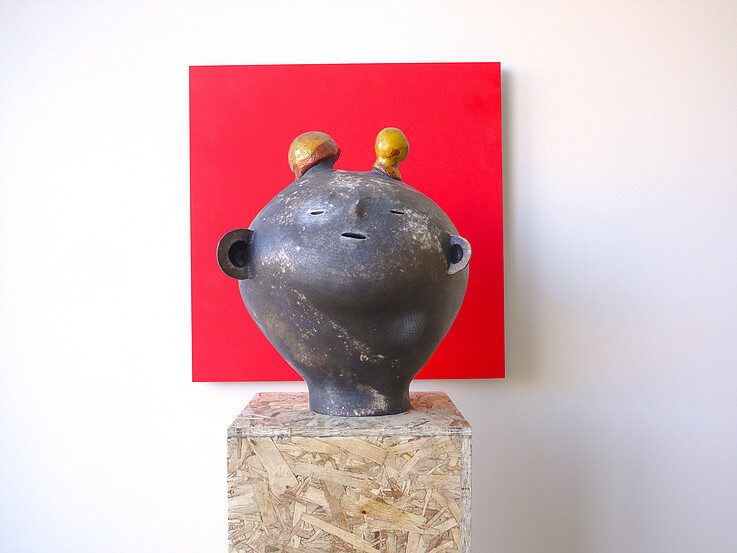 Under the influence of both parents who were painters, Iwamura was cultivated in an art enriching environment. 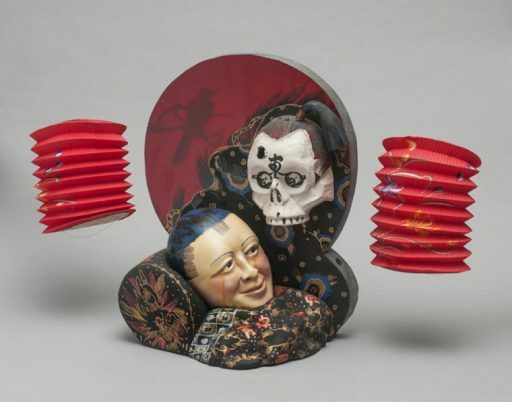 After he received a BFA in Crafts at the Kanazawa College of Arts and Crafts, he became intrigued by international art. 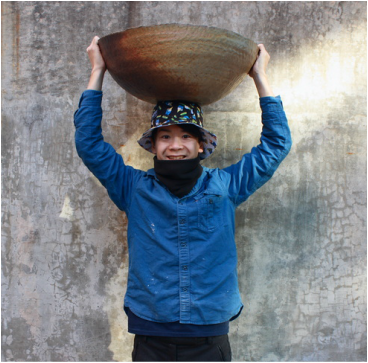 He believes ceramics has the potential to be an international language and is one that can cross different cultures, people, and countries. Iwamura’s current research investigates how he can influence and alter the experience of viewers who occupy space within his installation artworks. When Iwamura describes the space and scale in his works, he references the Japanese philosophy of Ma. Ma implies meanings of distance, moment, space, relationship, and more. People are constantly reading and measuring different Ma between themselves, and finding the proper or comfortable Ma between people or places that can provide a specific relationship during a given moment. Through his work, Iwamura intends to create such an encounter with site-responsive installations, and provide through entering the space, an opportunity for viewers to recognize and experience their own unique Ma. Shenny Phillips Cruces has moved on average every three and a half years her entire life. She grew up moving from Air Force Base to Air Force Base and has made a habit of relocating even in her adult life. Ms. Cruces attended Cal State San Bernardino and Sonoma State University, completing a BA in English. She taught High School in Santa Rosa California for a few years until relocating to Illinois. Ms. Cruces received a BA in Ceramics from Illinois State University in 2008 and a Masters of Fine Arts in Ceramics from San Francisco State University in 2011. 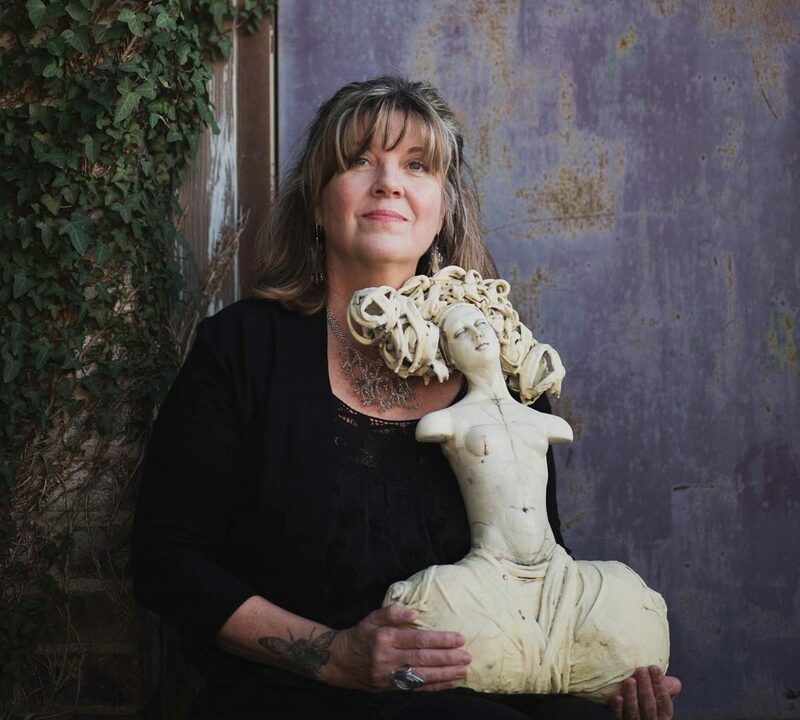 Her work has appeared in juried shows throughout California and the United States and includes 2013 NCECA Biennial, A Gilded Age at the Northern Clay Center and the Community Heirloom Project at the Palo Alto Art Center. 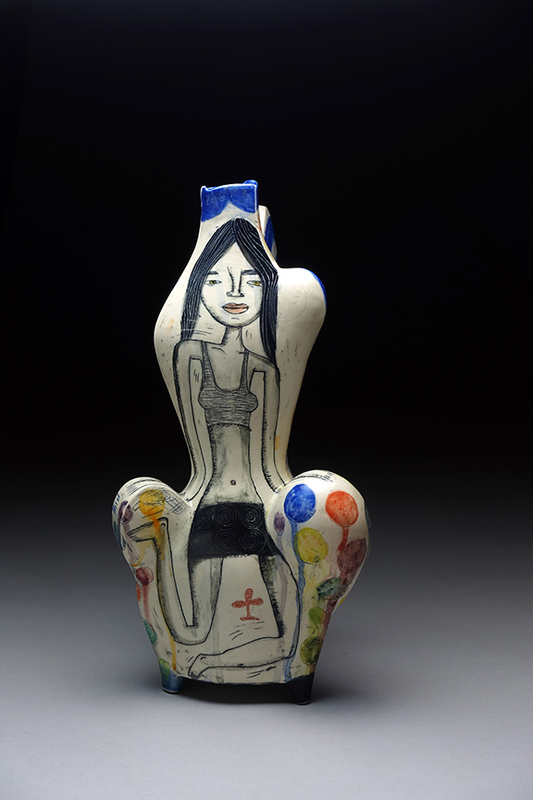 Her work has received numerous awards including a Murphy Cadogan Fellowship, and a Kiln God Award Residency at Watershed Center for the Ceramic Arts in Maine. 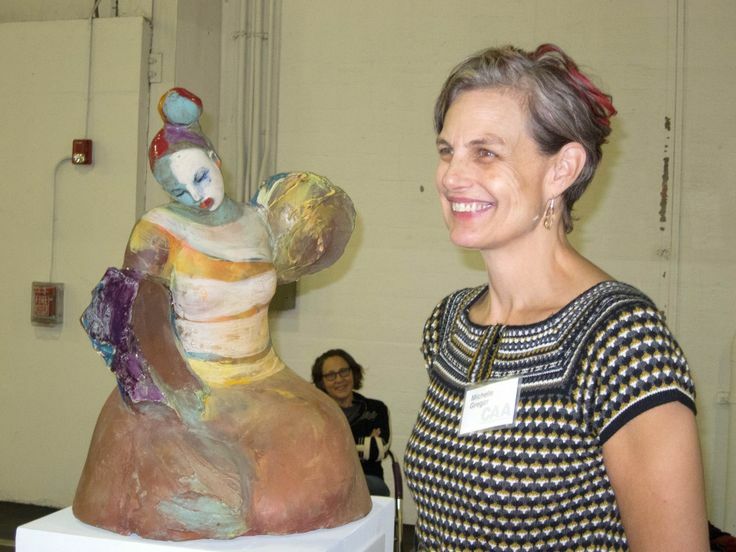 Ms. Cruces has taught ceramics at NIAD in Richmond, California and as a Lecturer in Ceramics at Sonoma State University and San Francisco State University. Gerit Grimm was born, and grew up in Halle, German Democratic Republic. In 1995, she finished her apprenticeship, learning the traditional German trade as a potter at the “Altbürgeler blau-weiss GmbH” in Bürgel, Germany and worked as a Journeyman for Joachim Jung in Glashagen, Germany. She earned an Art and Design Diploma in 2001 studying ceramics at Burg Giebichenstein, Halle, Germany. In 2002, she was awarded with the German DAAD Government Grant for the University of Michigan School of Art and Design, where she graduated with an MA in 2002. 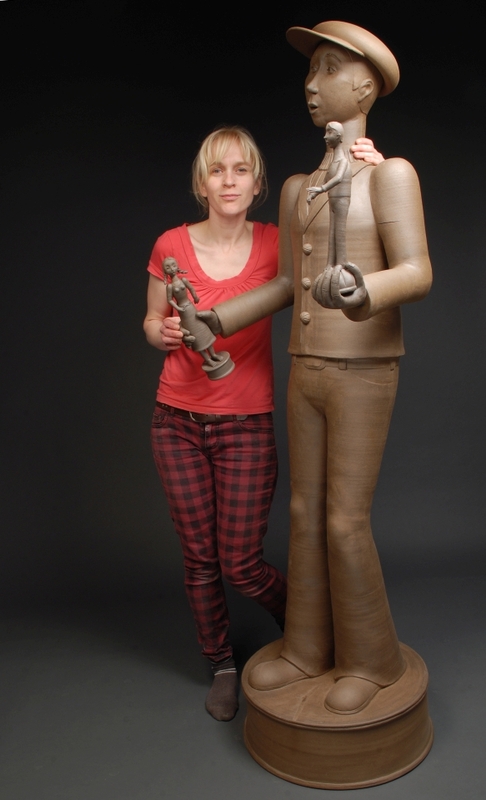 She received her MFA from the New York State College of Ceramics at Alfred University in 2004. She has taught at CSULB, Pitzer College, Doane College and MSU Bozeman and has worked at major residencies like Mc Coll Center, Bemis Center, Kohler Arts & Industry Program and Archie Bray Foundation. 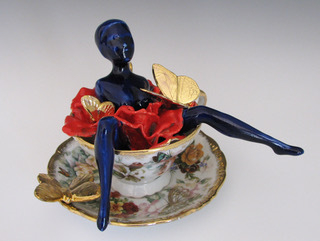 In 2009 NET Television created “Fantasia in Clay” a Nebraska Story about artist Gerit Grimm. Grimm now lives and works in Los Angeles, California. Kevin Snipes was born in Philadelphia, but grew up mostly in Cleveland, Ohio. He received a B.F.A. in ceramics and drawing from the Cleveland Institute of Art in 1994. After leaving grad school at the University of Florida in 2003 Kevin has led a seemingly nomadic artistic life, constantly making pieces no matter where he is. 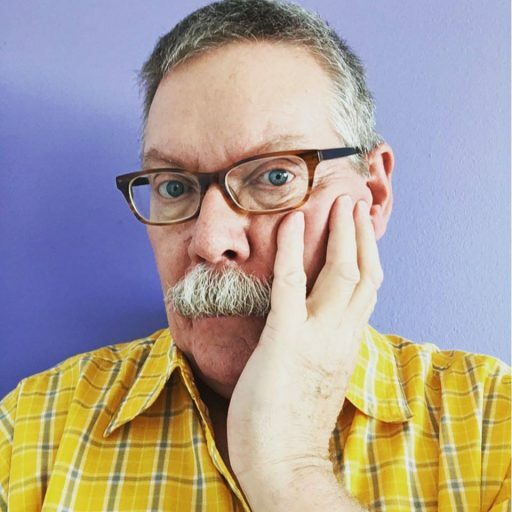 Kevin has participated in several artist residency programs, including the Clay Studio, in Philadelphia and Watershed Center for Ceramic Arts, in New Castle, Maine and received a Taunt Fellowship from the Archie Bray Foundation in Montana 2008. Exhibiting both nationally and internationally, including a recent solo exhibition at the Society of Arts and Craft, Boston; Akar, Iowa City and Duane Reed Gallery in St. Louis. Kevin has exhibited as far away as Jingdezhen, China. Kevin combines his love of constructing unconventional pottery with an obsessive need to draw on everything that he produces, creating a uniquely dynamic body of work. He currently resides in Chicago, IL. 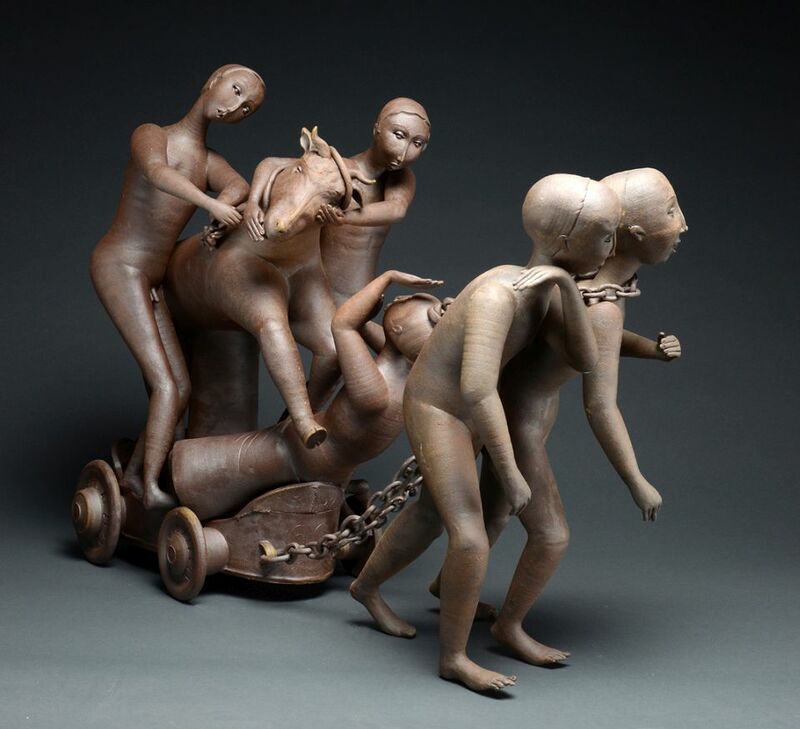 San Francisco Bay Area artist Michelle Gregor creates sculpture in high fire ceramic and bronze. Her work has been described as lyrical, graceful, spiritual. Her architectural sculpture graces the exterior of the Olympic Club on Sutter Street in San Francisco and an interior space at the Spa at Pebble Beach. 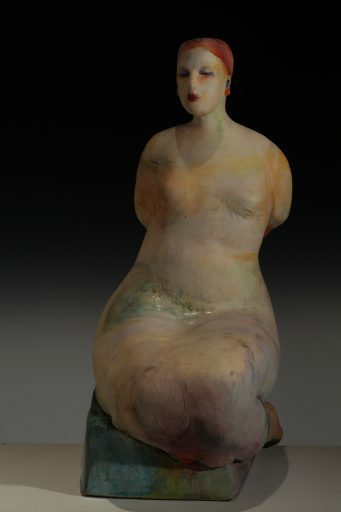 Her figurative sculptures in bronze and ceramic are in private homes, offices, and gardens of private collectors. 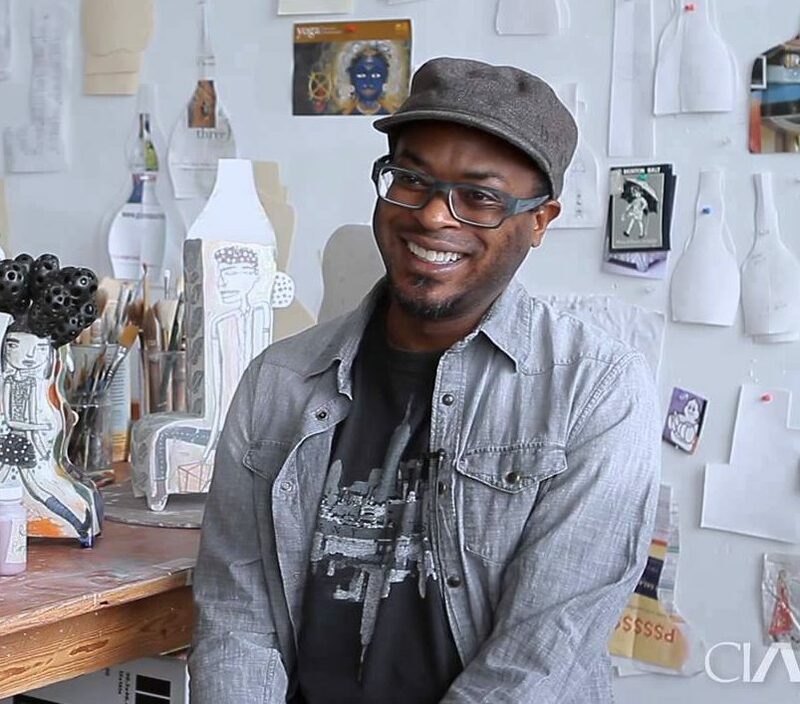 With roots in Philadelphia, Mark Burns now lives and teaches in Boston, MA where he is an Artist in Residence at the Ceramics Program – Office for the Arts at Harvard. Burns is a Professor Emeritus from University of Nevada, Las Vegas, where he was the major force behind the NCECA Conference in 1997. Burns explores societal norms of sexuality and identity through his humorous and often absurdist sculptural forms. “For over four decades, I have made strange marriages between disparate sources. Mythologies, manifest spiritual tropes, historical truth and historical lies, sexuality, television, movies, music, literature, and the ravenous beast we call pop culture. Once considered, those who seek an explanation will hopefully realize my work is an outward physical manifestation of a simple truth.